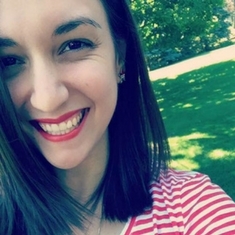 Hello polished world! How are you on this fine Thursday. I hope you are all doing well! I'm super happy because it is my day off, and at the time this post is going to be published, I will more than likely still be sleeping. Oh, how I love Blogger's scheduling feature. Today I am bringing you Frankenstein nails! 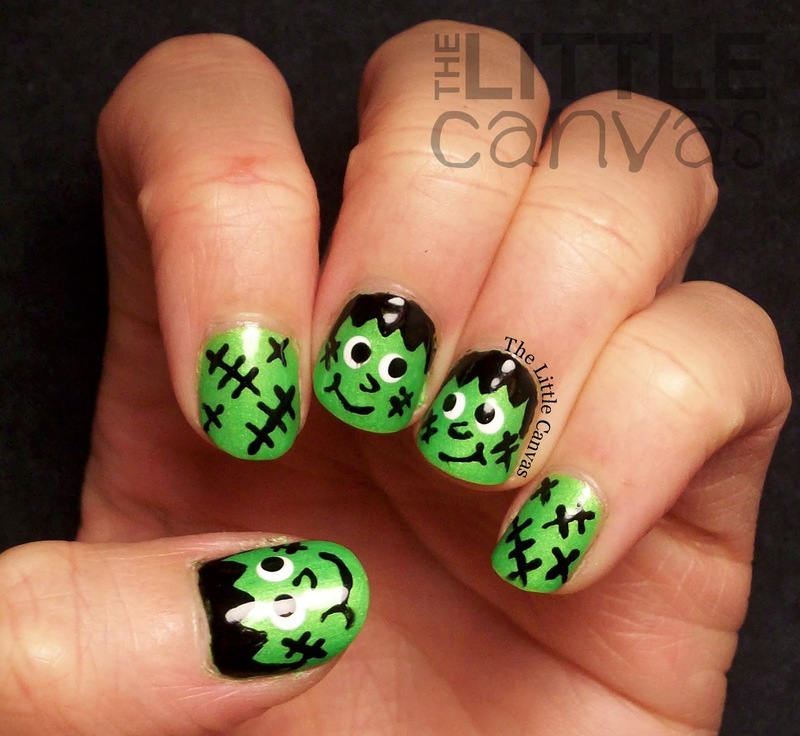 Frankenstein's were one of the first designs I ever did before I started blogging. 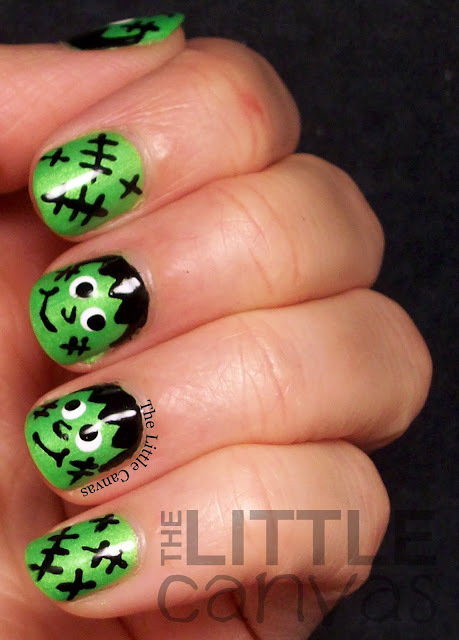 Last year, I did one little Frankenstein on a Halloween character skittle manicure and really enjoyed the little guy. This year I decided to switch it up, change how I painted them. I played around, and well I wasn't 100% pleased with the end result. 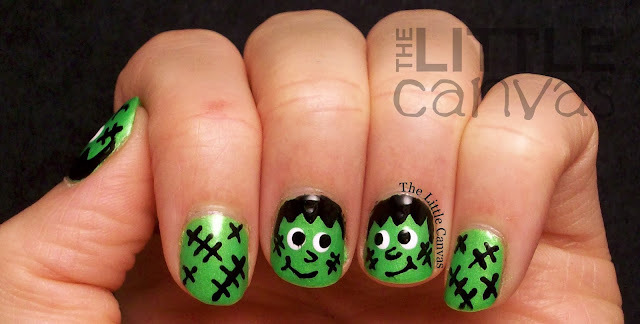 The little guys ended up looking so happy that I personally thought they looked like children dressed up as Frankenstein. In the end, it is fitting since kids do dress up as Frankenstein each year. Okay, they're adorable...but Frankenstein shouldn't be adorable! He should be angry! I should have added some angry eyebrows or made their smirks into frowns or straight lines. Maybe next year. To get the look, I started off with a base coat of my lovely neon China Glaze I'm With the Lifeguard from last years Summer Neon Collection. This is by far one of my favorite polishes and am so happy that China Glaze decided to add it to their permanent line. If only they would do the same with Hang Ten Toes. When my base was dried, with my nail art brush I began painting the different designs no the Frankie's and the scar nails. I went a little crazy it seems on their faces with the scars, but I kind of like those. It's just those dang smilie faces! I should have made them grumpy!!! What do you think? Love, hate? Think they look like little kids dressed up as well? If one of my other manicures fails in the next few days, I may re-do them or do another character skittle manicure. Maybe I can make a true, angry Frankenstein. Until the next Halloween manicure, <3. Bestie Twin Nails - Jack O'Lantern Nails! Spider & Webs Nail Art + Tutorial! Ghost Nail Art - My First Stud Manicure!